Assistant Coach PAOK Thessaloniki (1997-February'01, 2001-05) Assistant Coach Olympiacos Piraeus (2005-08)...Head Coach PAOK Thessaloniki (February'01-June'01)...Head Coach Kolossos Rodou (2008-11)...Assistant Coach CSKA Moscow (2011-12)...Assistant Coach Houston Rockets (August'12-October'12)...Head Coach Panionios BC Athens (November'12-2014)...Head Coach Olympiacos Piraeus (November'14-2018)...Head Coach Maccabi Tel Aviv (November'18-...). named 2015 Greek Coach of the Year. 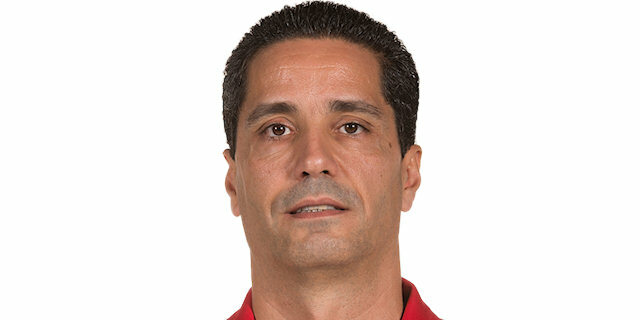 Assistant Coach Greek National Team (2001-04, 2009-10).